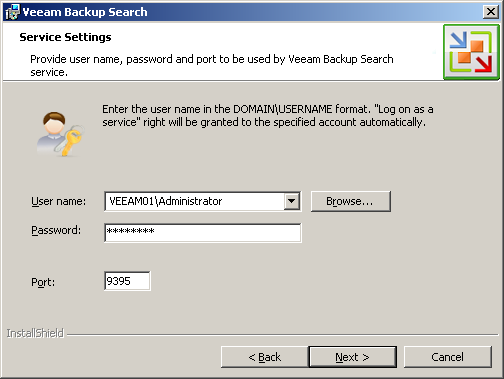 Specify the user name and password to be used by the Veeam Backup Search service. Change the number of TCP port if it is necessary. By default, Veeam Backup Search uses port number 9395.